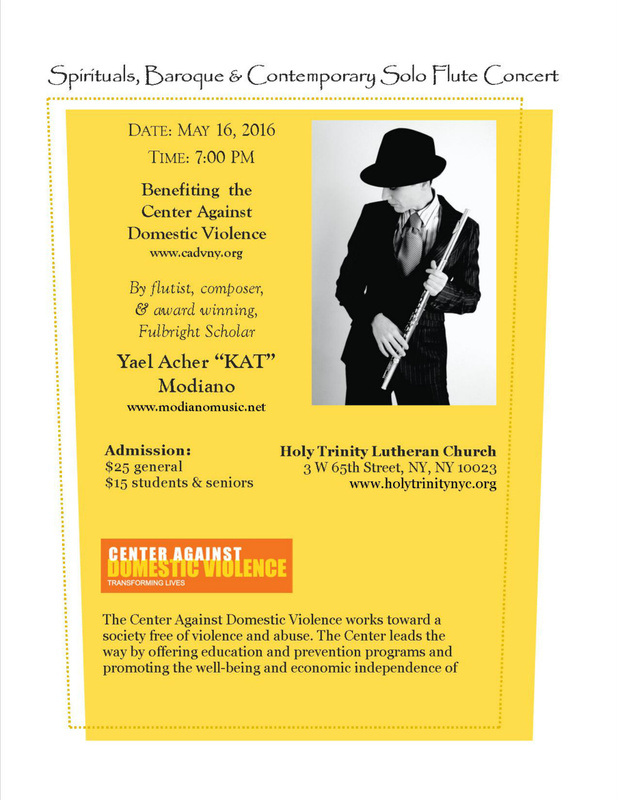 In the spacious acoustics of a gorgeous sanctuary, home of the legendary Bach Vespers series by Central Park, Yael Acher"KAT" Modiano will perform an hour of solo flute eclectic program, including: Spirituals, Baroque, French Impressionist, and her original Contemporary improvisational pieces. 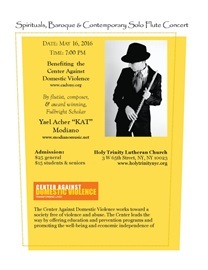 "toward a society free of violence and abuse. economic independence of survivors of abuse." Tickets: $25 for adults, $15 for students/seniors. Additional donations are welcome.